In the fifth part of a series of blogs, Laurel Brunner discusses the importance for print brands to ensure their employees are aware of their sustainability responsibilities. We haven’t forgotten about our attempt to provide a 10-point plan for companies and associations who want to be proactive with their sustainability messaging. 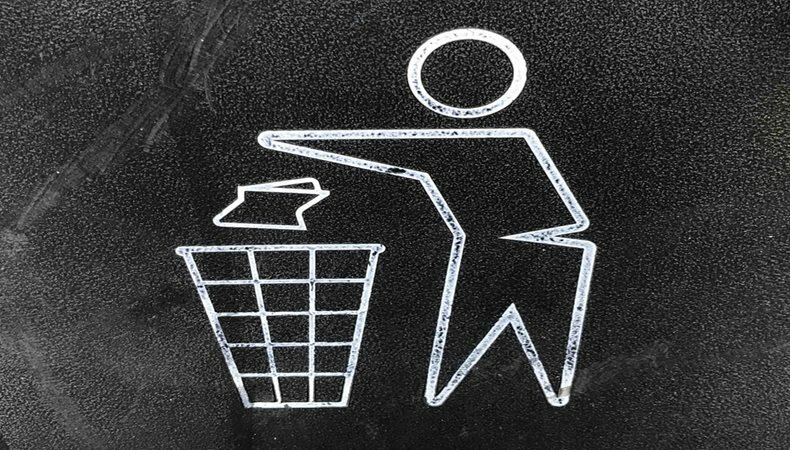 In the previous blogs we suggested improving waste management via the supply chain. This is a key contributor in minimising the environmental impact, particularly for printing companies managing pre-consumer waste. We have offered numerous suggestions for how to meet the 3 Rs: Reduce, Reuse and Recycle. We suggested that there should be a 4 Rs, the latter being Renewable. In the graphics industry this could be applicable for example to printing plates for reprint, cleaning rags and pallets. It is important to be aware of management and the energy emissions associated with a project. This encourages everyone in the organisation to take emissions into consideration. For example, for transportation, the number and types of inks and coatings etc. This brings us to the next item on the list: engagement. This is a difficult one since it is so subjective. It is about getting employees to comprehend their sustainability responsibilities and to take them seriously. It is also about inspiring people to think in an ecological manner, even though it might not have occurred to them to do so before. If that is too difficult, then instead you can always try to get people to focus on developing environmental awareness as a company-wide initiative. The good news is that there is already a rise in awareness in the wake of revelations about plastics pollution showcased in David Attenborough’s Blue Planet II tv series. So, the environment and plastics pollution are already on people’s minds. Large brands are taking steps towards improving the situation, as mentioned in this series’ previous blogs. Every little helps. Maximising awareness levels starts at the top with the company’s commitment to bettering its environmental impacts as part of the company’s culture and values. Particularly for associations, it is crucial to practice what you preach. This can be challenging for large brands with diverse memberships. Consider creating environmental guidelines for members and offer explanations of what the different ISO standards for the environmental impact of media can do. Creating a list of useful environmental links can be helpful to members who wish to better their company’s sustainability awareness but aren’t sure where to start. In conversations with suppliers it is valuable to ask for a quick overview of what the supplier is doing to support improving the environmental impact of print. Several have notable credentials at the highest levels, however when it comes to customer facing staff, the commitments are not always evident. We will continue this series in the next few months and hopefully we will finish with a 10-point summary that we can share. Together we can keep reducing the negative environmental impacts of print and encourage more positive perceptions. Source: This article was produced by the Verdigris project, an industry initiative intended to raise awareness of print’s positive environmental impact. This commentary helps printing companies keep up to date with environmental standards, and how environmentally friendly business management can help improve their bottom lines. Verdigris is supported by the following companies: Agfa Graphics, Spindrift.click, EFI, FESPA, HP, Kodak, Kornit Digital, Ricoh, Splash PR, Unity Publishing and Xeikon.